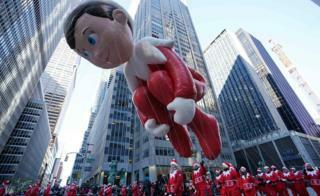 The US is marking its annual Thanksgiving Day holiday with parades and celebrations. The day – originally a way of giving thanks for the blessings of the harvest and of the preceding year – is also being celebrated by Americans around the world. Singer Rita Ora performed for the Macy’s Thanksgiving Day Parade in Manhattan, New York. She was criticised on social media after her lip-syncing appeared to drift from the music. 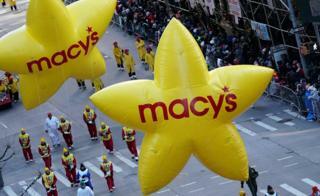 Macy’s later apologised for the “technical issues” with the sound system. 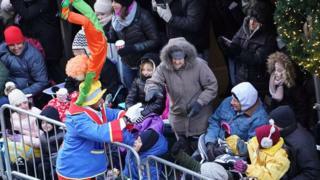 Thousands of people lined the streets in New York for the traditional annual parade, which featured a variety of large and colourful balloons, despite the low temperatures. It was the coldest Thanksgiving Day in New York since 1901, the National Weather Service reported, but enthusiasm was undimmed on the streets of Manhattan. A strong breeze buffeted the numerous huge character balloons around, but thankfully the gusts were not severe enough for organisers to have to ground them. 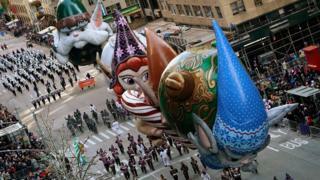 Floats from the film The Christmas Chronicles made their way along 6th Avenue during the Macy’s parade, as a band marched behind them. Motown legend Diana Ross rode on one of the many floats. 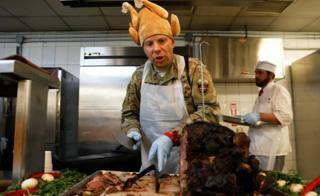 US troops in Afghanistan tucked into a traditional roast turkey dinner – with all the trimmings. 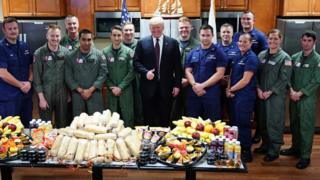 Sandwiches and fruit were laid on when President Donald Trump visited members of the Coast Guard near his home in Palm Beach, Florida, on Thanksgiving Day morning. 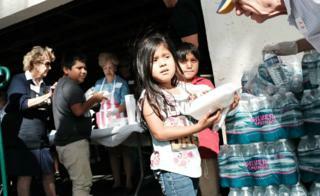 The families of seasonal farm workers were served a meal in the annual Thanksgiving in the Park gathering in Immokalee, Florida. 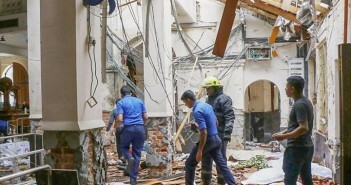 Volunteers handed out food and provisions to about 1,500 people. The holiday celebrates the Pilgrims’ first harvest in what is now the state of Massachusetts. 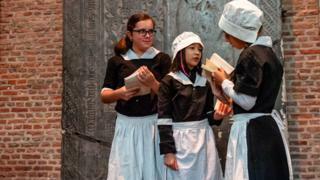 After the pilgrims left England and before they headed to America, they lived in the Dutch city of Leiden, which holds a Thanksgiving Day service at the historic Pieterskerk every year with some participants in period costume. On a more sombre note, hundreds of volunteers are spending Thanksgiving combing through the ruins of homes destroyed by wildfires in California. 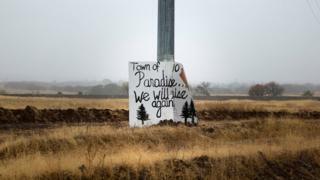 The fires killed 83 people in and around the town of Paradise. 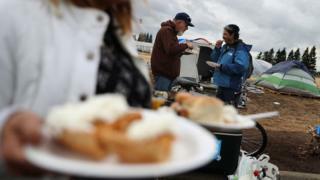 Evacuees of the California Camp Fire receive a Thanksgiving meal from volunteers at a makeshift evacuation camp next to a Walmart store in Chico.